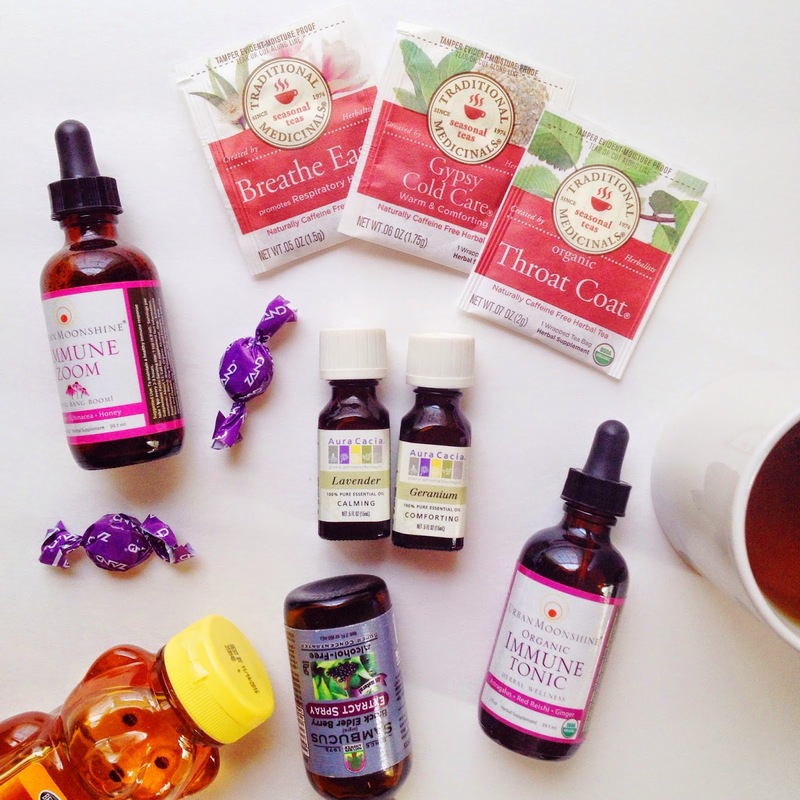 I've been a bit under the weather this week, which spurred me on to share some of my favorite seasonal supports and remedies. Traditional Medicinals Tea...Breathe Easy, Throat Coat and Gypsy Cold Care. Drink lukewarm for best effect. Local honey...Add this to any of the teas above, or warm lemon-ginger tea. Sambucus Black Elderberry Extract Throat Spray...I always keep this handy when I have a sore throat. The elderberry has great healing properties. Zand Elderberry Zinc drops...Take these at the first sign of a cold. They taste great and really work! I love that I can buy ALL of these items from Vitacost for the best price and one easy shipment (it's like a "hey you might get sick which is a bummer but these things will help you feel better and it's a package in the mail so it feels like a present!" thing). I usually stock up at the beginning of the season so everything is within reach when a cold strikes. The Zand drops sell out fast because Vitacost has a FANTASTIC price on them! While I'm shopping, I usually grab a bag of Bob's Red Mill oats from Vitacost for my winter morning breakfasts. Speaking of amazing deals, I just found out about ePantry this week, which is quickly becoming a new favorite. My first order is on its way...the process was fun and easy with the best user interface I've seen online in a LONG time to get the best natural products that I actually need and want delivered to me. AND they rescue 25 square feet of rain forest for each order and offset the shipping by buying carbon credits (at no extra cost for you), then ship everything using only 100% recycled materials. I'm in love! I always buy Mrs. Meyer's dish and hand soaps anyway (and sometimes refill with my own soap) because the match my kitchen perfectly. I've heard great things about the Mrs. Meyer's candles, so I added one of those to this order too, since they are hard to find on store shelves. 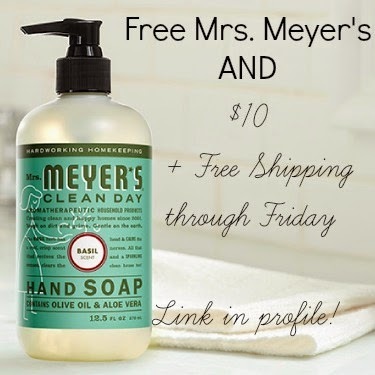 ePantry has a great deal going through Friday only...if you order $30 worth of merchandise, get a $10 instant credit, a FREE Mrs. Meyer's hand soap AND free shipping. So you get close to $50 worth for only $20. Score! It will be automatically added to your cart. Get started HERE!